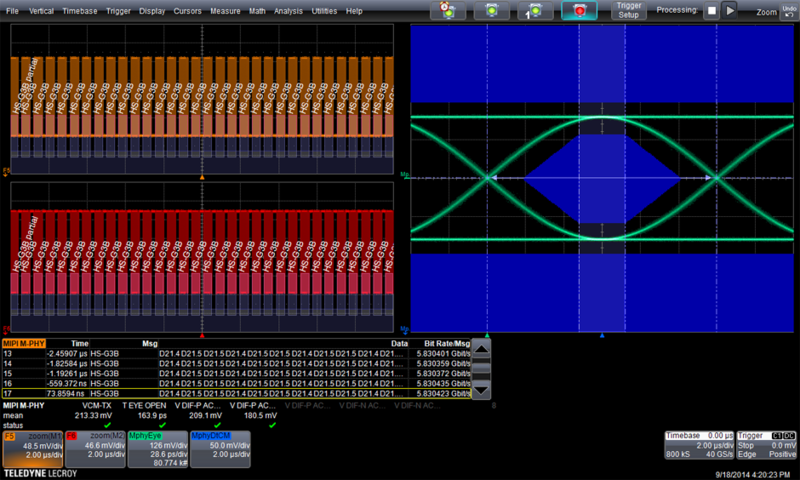 QPHY-MIPI-MPHY operates with a simple, logical flow. First, select the tests to perform. The software helps connect to the DUT correctly by providing clear connection diagrams. 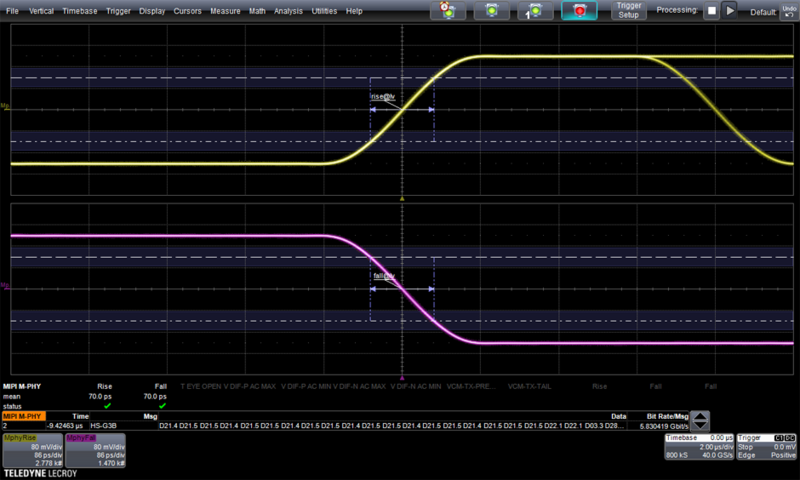 It then controls the oscilloscope, fully automating the requested tests in a seamless manner. QPHY-MIPI-MPHY enables the user to obtain the highest level of confidence in their M-PHY interface. By measuring a large number of cycles in a very short period of time, the user can be confident that they are testing the true behavior of their device against the M-PHY standard. 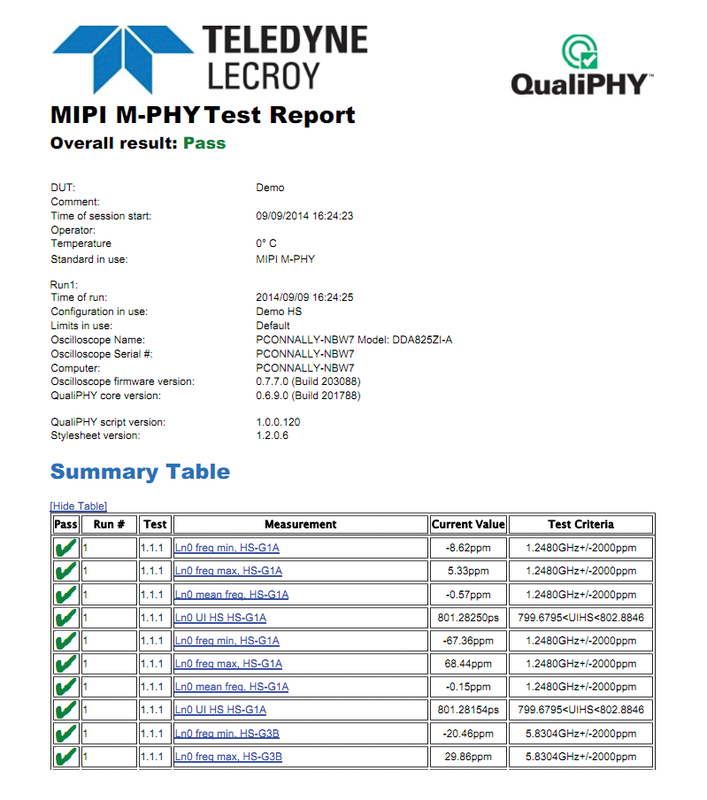 QPHY-MIPI-MPHY leverages the power and flexibility of Teledyne LeCroy’s comprehensive M-PHY Decode and Physical Layer Test package to provide an environment where problems highlighted in the conformance test can be quickly and easily pinpointed and diagnosed. Complete time correlation between the protocol-level M-PHY decoder and physical layer waveforms and measurements means that tracking down problems is greatly simplified. 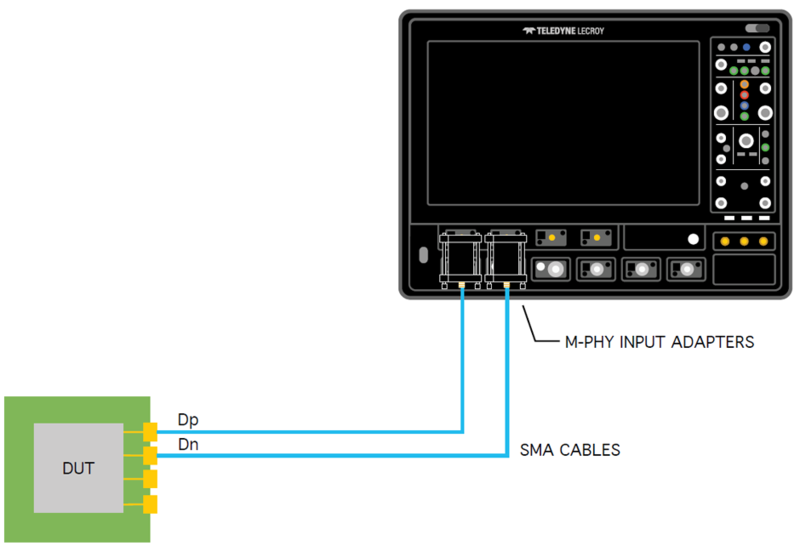 M-PHY requires both 100Ω differential termination and nonzero common-mode voltage, so simply connecting the Dp and Dn signals to standard 50-Ω oscilloscope inputs may cause an unacceptable level of common-mode current draw from the transmitter under test. 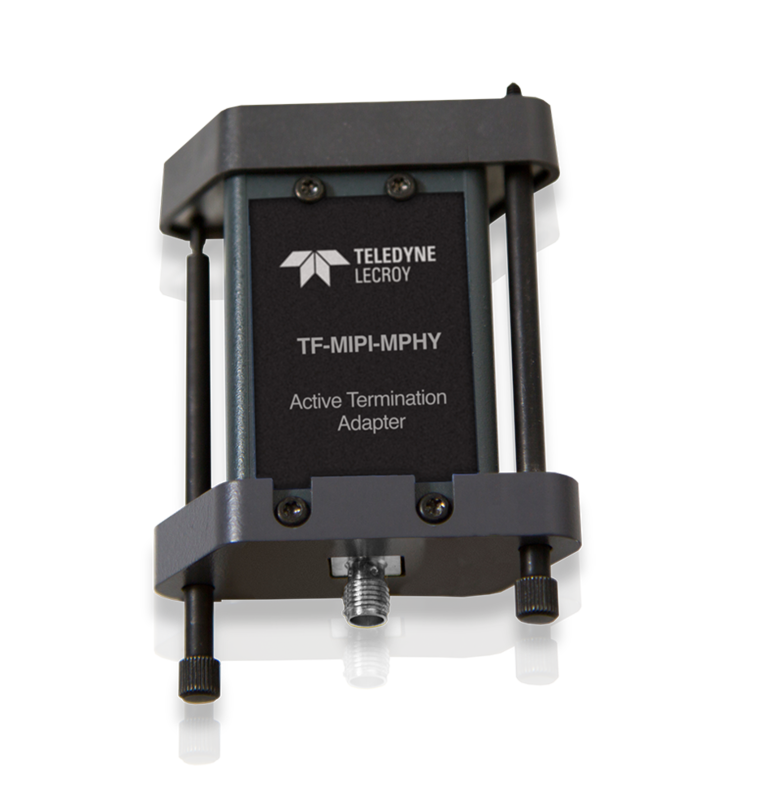 The Teledyne LeCroy M-PHY input adapter solves this problem elegantly, maintaining a pristine signal path to the oscilloscope input while providing the required common-mode termination voltage. This eliminates reflections and noise problems inherent in competing probe-based solutions – and at a fraction of the cost.